DeV will you make me one of those famous sigs? (04-15-2016, 03:10 AM)RoboTech Wrote: DeV will you make me one of those famous sigs? Any clue when the mac client coming out? This post was last modified: 06-04-2016, 10:01 AM by bigdaddy. Running the 64bit client. 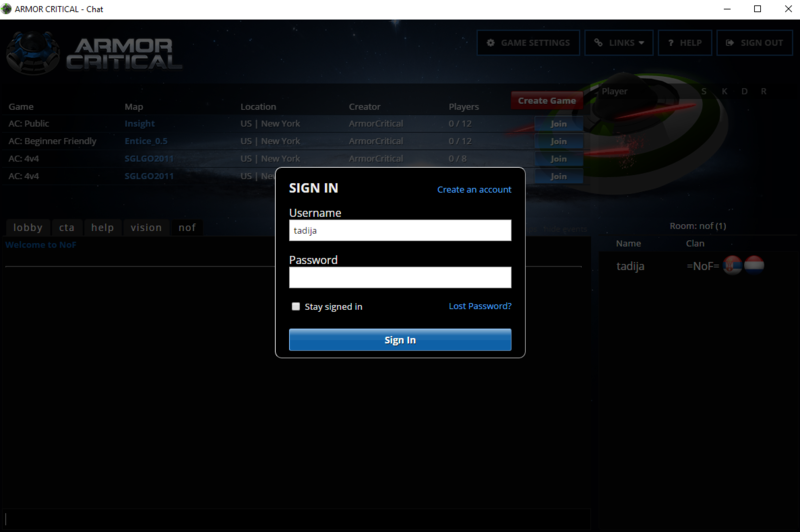 It logs me in but the login form stays on the screen and I can't close it. Does anyone get a white screen when trying to load the launcher? (10-31-2018, 09:05 AM)Turbo Wrote: Does anyone get a white screen when trying to load the launcher? I used to get that, and had to use an old version of the launcher to be able to see the lobby. Then, I started getting the white lobby on the old version. I went through and removed everything and made sure that I re-added the most current version and it was fixed. Unfortunately, I can't get it to work after reinstalling. I have a Macbook. bd is the only sem-active player I know, that has been able to get the game to run on his mac.